Although still a few weeks away, the world’s richest horse race, the Dubai World Cup, is still attracting plenty of antepost interest, with the Aiden O’Brien trained globetrotter, So You Think, at the center of attention. The six year old who was halted in his attempts to win the Prix de l’Arc de Triomphe and the Breeders Cup Classic last season is to be kept in training for another year in order to tackle the bigger races and will start 2012 with a run in the Dubai World Cup on Saturday 31st March. 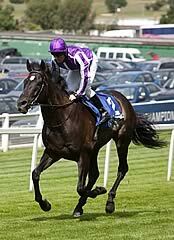 The Bookmakers were quick to respond to his entry in the race that is has a $10 million prize fund, by making the son of High Chaparral the 4/1 antepost favourite with the Japanese multiple Grade 1 winner, Smart Falcon, his nearest challenger in the Dubai World Cup betting at odds of 6/1. O’Brien has never saddled the winner of this race but this meeting is not one that he has particularly targeted in the past as it comes too early in the season for his Ballydoyle stable. However, he knows that in the versatile So You Think, he has a great chance of a huge early season success and will undoubtedly have him extremely well prepared for the race. Smart Falcon, now a seven year old has won his last nine races including five at Group 1 level and will come to Meydan with hopes extremely high that he can emulate Victoire Pisa, who won the race for Japan in 2011. Certainly he is a very lively performer proving more than capable of winning over any distance between 9-12 furlongs and although he is a dirt specialist, the Tapeta surface at Meydan should not trouble him according to his trainer, Ken Kozaki. Also likely to take his place will be the 2011 Kentucky Derby winner, Animal Kingdom, who will be looking to make a return to winning ways after his subsequent second place in the Preakness Stakes and his sixth place in the Belmont Stakes. Now a 4 year old, Animal Kingdom will have one warm up run in a Grade 3 race at Tampa on the 25thFebruary before making his way to Dubai where he can be backed at a best price of 8/1 for the race. Still looking for a first win in the race is Meydan specialist, Mike De Kock, the top rated South African trainer. His chief representative this year will be Bold Silvano, a winner last week of the Grade 3 Al Maktoum Challenge over 10 furlongs at Meydan. He was the antepost favourite to win the Dubai World Cup last year before injury ruled him out but he is now definitely heading in the right direction and should be a major player in the race and it is likely that he'll head over to Britain in the Spring for a campaign in the UK's major races. Top American trainer, Bob Baffert who has saddled two winners of this race in the past will have his Breeders Cup Classic runner-up, Game On Dude, in the field who won a Grade 2 at Santa Anita last weekend and this five year old has nothing to fear at least from So You Think who he had a couple of lengths behind him in the "Classic" at Churchill Downs last November and could represent excellent value at 8/1 to give Baffert a third Dubai World Cup win.